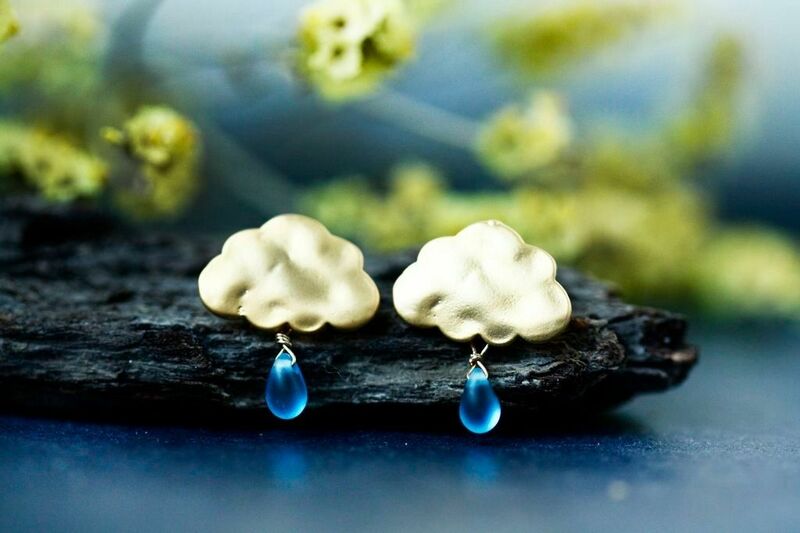 Very cute and delicate earring for the gloomy and rainy day. Very chic and stylish for the sunny day. ... I just love them! 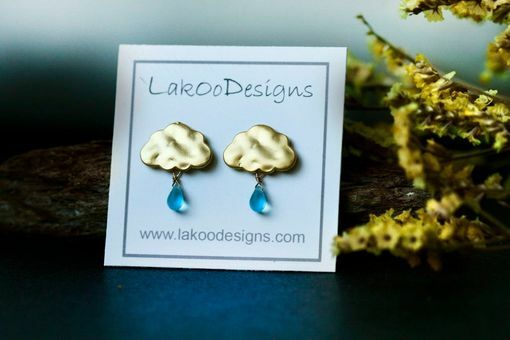 * The clouds are 16k matte gold plated over brass with 925 silver post. * Blue drops matt glass dangle as rain.